Music in its many forms plays a key role in life at Glenfall. 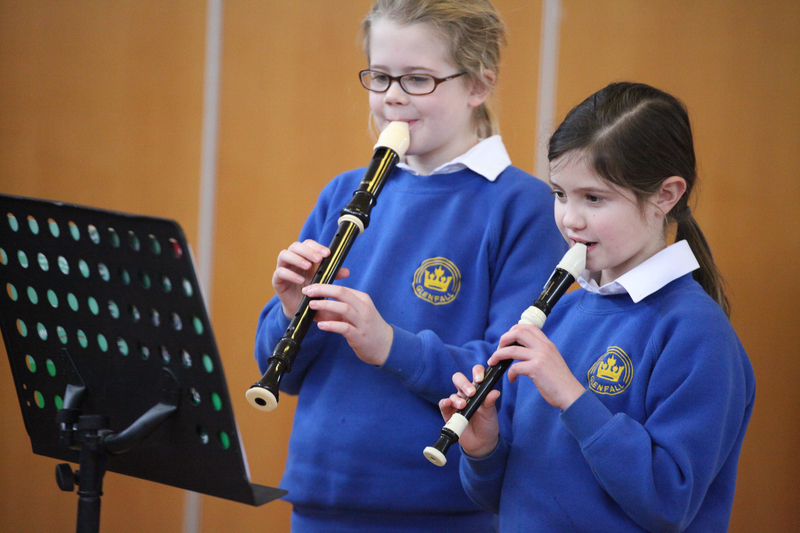 When the children have learnt to play their instruments, they are encouraged to join the school orchestra to further develop their confidence and playing ability, to get experience of playing with others, to experience performing together and the excitment and fun that this provides and to give a point to playing a musical instrument. No auditions are held – if a child can play two notes or chords, then a part reflecting this will be specially written. The orchestra meets regularly on Tuesday mornings throughout the year. “Primary Schools Live” – This is an opportunity for the orchestra to perform at events where children can perform to a live audience from the general public as well as parents and friends. During the summer term the orchestra gives a concert for parents and friends where the year’s music is celebrated and performed in front of large, enthusiastic and appreciative audience.